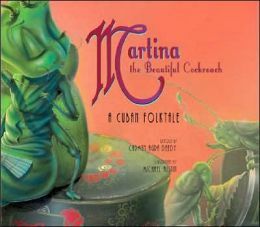 While some might look at you askance for bringing cucarachas into a sanctuary, even cute ones in story form, this Cuban folktale holds some powerful truths worthy of entering a worship space. The story affirms that the most important thing in a relationship is being understanding and kind even when someone spills coffee on our shoes. Every religious tradition worth its salt calls us to treat other human beings with compassion and kindness – and this story encourages our children (perhaps especially our girls) to expect kind treatment even when they might spill a little coffee. When recent study tells us that 1 in 10 adolescents report experiencing violence in a dating relationship, its time to make sure this lesson is taught in our worship communities. You know a book did something right if it was burned by the Nazis and banned in Franco’s Spain. Who would have thought that the sweet classic book about the Bull who liked flowers more than fighting could raise such a fuss? And yet, published in 1936, just around the outbreak of the Spanish Civil War, it became an instant success and just as instantly controversial. Ferdinand became know as the “peaceful bull” and the book was understood by many to be a criticism of the anti-Republic coup that would soon break out in Spain. Though this children’s book’s relationship to its political context is fascinating, you don’t need to know anything about the Spanish Civil War to see the charm and beauty of this book. 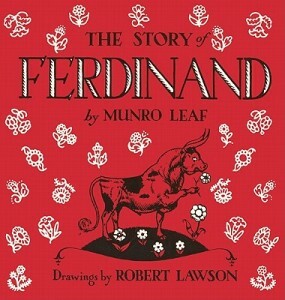 Through a twist of circumstances, the gentle, flower-loving Ferdinand is mistaken for an angry and ready to fight bull. He is taken by cart to the city to be entered in the ring of a bull fight. Ferdinand is far more interested in the flowers on the ladies hat than in the red cape of the matador.This book speaks to themes of peace, non-conformity, the breadth of gender expression and perhaps even the fair (or unfair) treatment of animals. on our Featured Stories page.